Wichita, Kansas – May 17 – 19, 2019! Wicked GT 2015 Player’s Packet now available! The days continue to tick down as we get closer to the Wicked GT. I hope you’re getting your armies painted, Golden Toto entries finished, and display boards done so that you can represent in May! I wanted to take this time to remind you all of some important dates that are coming up and to also let you know that the 2015 Wicked GT Player’s Packet is now available for download. In this packet you will get all of the information that you need to prepare for the Wicked GT! – March 22, 2015: Anybody that chooses to sign up after this date will have to pay the inflated amount of $65. This increase is due to the fact that we have to start paying for venues, tables, and accessories in general. Please do your best to pay your $60 prior to March 22nd. – April 16, 2015: This is the last day for refunds. If something happens after this date we regret to inform that you can no longer receive a refund. This is because the money is likely already spent in order to shore things up prior to May 15th. – April 19, 2015: Army lists are due on this day! If you have to turn in your army list after April 19th then you will receive a -5 points to your overall score, to be applied at the end of the GT. Please do your best to get your lists in on time. There should be no reason anybody has to start the tournament down -5 points. Lastly, here’s a link to the Player’s Packet. All the information for the Wicked GT can be found in this packet (sans scenarios) ranging from the sponsor list, schedule, venue information, all the way to the scoring rubrics for Appearance and Sportsmanship. If you have any questions, please don’t hesitate to send an email to thewickedgt@gmail.com (same email address you would send your GT payment to). The scenarios will be released in a separate packet. We’ve given ourselves a deadline to get these completed and have them out in a timely manner so you can review them and know what you’re getting yourself into! And remember that they are based off of the Wizard of Oz so you may or may not see a Twister floating around somewhere!!! Thanks for checking and make sure to check back as more and more things will start to be posted. Lookin’ forward to seeing everybody soon! This entry was posted in General Updates and tagged Grand Tournament, The Wicked GT, Warhammer Fantasy, Wicked GT. Quick End Times update for the Wicked GT. Hello and Happy New Year to all you Warhammer fans out there! The Wicked GT is just under 4 months at the writing of this post so make sure to get your army lists up to date and ready for submission. Also start working on your entries into the Golden Toto Painting Competition! I’m excited to see what all comes from various painters from all around. I know that the Wicked GT is going to be great and we’re looking forward to putting it on for everybody and making it a great show to follow up with next year. It’s not long now, so hurry up and get ready to go! – Characters / units / lists from the End Times books currently WILL NOT be allowed. This includes any and all of the new units that are in each of the ET books. This could change between now and the start of the Wicked GT with new books set to release in the next few months. If they do, we will make sure to address it right here on our website. The main reasoning for this is that these characters / units / etc are not “official”. – The 50% Lord / Hero percentages WILL be in effect and this has actually been updated in the Games Workshop FAQ, thus making these rules official. – The Lore of Undeath WILL be in effect as well, having also been FAQ’d. One addition to this is that if you plan on using the Lore of Undeath in your army list please have the book and/or cards available during the tournament. Any other changes that happen over the next few weeks we will make sure to cover it here on this website. If you have any other questions pertaining the End Times and it’s effect on the Wicked GT please don’t hesitate to get in touch with me. Not much longer now! Hope to see you guys soon! This entry was posted in General Updates and tagged End Times, Glottkin, Grand Tournament, Khaine, Nagash, Thanquol, The End Times, The Wicked GT, Warhammer Fantasy, Wicked GT. Meet our newest sponsor – Hobbytown USA! It’s happened once again! We have gained yet another sponsor for the Wicked GT – Hobbytown USA. Ken Rowe is the owner of the Hobbytown USA branch located in Wichita, Kansas and has been in business for several years. Most of the gamers in B.A.W.G.S. know and interact with Ken on a frequent basis and have visited his store on several occasions to browse his stock of tabletop miniatures and paint supplies, remote control cars and trucks, independent board games, and even Gundam models! Ken’s Hobbytown shop has expanded over the last several years and is now essentially double their size from when they first started out. If you’re ever in the Wichita, Kansas area then please take a moment to stop by Hobbytown and talk to Ken and his knowledgeable staff. Thank you once more to Ken Rowe of Hobbytown USA! This entry was posted in General Updates and tagged Grand Tournament, Hobby Town, Hobbytown, Hobbytown USA, Ken Rowe, The Wicked GT, Warhammer Fantasy, Wicked GT. The Wicked GT gains another sponsor – Dave Graffam Models! Another quick note to let everybody know that our sponsor count for the Wicked GT is now up to 5! We have been working with Dave Graffam over at Dave Graffam Models and he has graciously decided to help us out by providing cardstock terrain pieces from his extensive collection! Dave has over 100 kits available on his website and there are so many different gaming types to choose from. Whether you’re playing Warhammer Fantasy or Warhammer 40k you can find pieces of terrain that will fit your system and style of play. We’re going to outfit our tables at the Wicked GT with all of Dave’s awesome terrain designs! If you’re interested to find out more about Dave Graffam Models then make sure to visit his website and see what all he has to offer. The ease of putting some of these designs together is ridiculous and you’ll find that you can have a fully covered table in no time! Dave even offers a few freebies on his website just to get you started and then you can come back and take on some of the bigger pieces that might take a little bit more time to piece together. For your terrain needs make sure to visit Dave Graffan Models and thanks to Dave for helping us out for the Wicked GT! One more day and we are 4 months away from go time! The Players Packets, as well as the Scenarios, are being finalized right now so if you want in on the action, want to participate in the Golden Toto painting competition, or just want to come see Dorothy and all of her friends then please visit the Registration page and sign up as soon as you can. Remember that it’s not required that you pay right away but make sure to remember that once the final date to pay comes and you’re not paid up then you will be dropped from the list. Lookin’ forward to seeing lots of new and familiar faces at the Wicked GT. Get those armies painted! Thank you once more to Dave Graffam at Dave Graffam Models! This entry was posted in General Updates and tagged Dave Graffam, Dave Graffam Models, davesgames.net, Grand Tournament, The Wicked GT, Warhammer Fantasy, Wicked GT. The Wicked GT gains another sponsor – Bits of War! As of January 15th of this month, we will be only 4 months away from the first ever Wicked GT and the anticipation as well as excitement is starting to build up. If you want to join several other gamers from all of the country duke it out for 5 exciting Warhammer games then you need to make sure and sign up for tournament! We are starting to get more participants as the days go by and the deadline to hand in your lists will be here before you know it. Want more? Well you can even choose to participate in the Golden Toto Painting Competition and show everybody your painting skills to see if you can walk away with 1 of 12 painting awards that will be given out as prizes! We’ve worked long and hard to bring you a great GT and we’re continuing to get sponsors on board to help us out with donations, discounts, prize support, and more! And I want to take this time to let you know about our most recent sponsor, Bits of War! Please take the time to head on over to www.bitsofwar.com and check out all that these guys have to offer. Their sculpting work and attention to detail is immaculate and their resin kits and miniatures will definitely compliment some of the different armies in the Warhammer World! The crew at Bits of War have decided to offer full prize support for the Top Place Finishers in each category of the Golden Toto Painting Competition! That means 4 amazingly sculpted resin Fantasy kits for each 1st place finisher in each category! More to come on the specifics of the kits that are being supplied! Head on over and see what all they offer to help bulk out your army! More details on the Wicked GT is coming soon. The player packets are being finalized and we have some WIP images of each of the trophies that will be handed out for Top Place Finishers! We will also bring you some updates about the Top 2 Tables that are going to be Wizard of Oz themed! There is so much being done and we’re all excited about it. Get those armies painted and ready for war! The Wicked GT is coming soon! This entry was posted in General Updates and tagged Bits of War, Grand Tournament, kromlech.eu, The Wicked GT, Warhammer Fantasy, Wicked GT. New Sponsors on board for the Wicked GT! Hello all you Warhammer fans out there! We are just under 7 months until the Wicked GT is here and we are doing all that we can in order to make preparations for one of the best tournaments here in the Midwest. To that end, I wanted to take the time to make a quick announcement and let you know that we now have 2 more sponsors that are going to help out for the Wicked. That brings our total to 3 and these guys have no idea how tremendous it is that they are lending us their support. Whether it’s helping to get supplies for terrain, donating product for prizes, or simply covering costs to help the overhead budget, it goes a long way! The first of our newest sponsors is Secret Weapon Miniatures (http://www.secretweaponminiatures.com). These guys specialize in bringing high quality, pure pigments to wargamers as well as the largest selection of basing themes on the market! Justin McCoy is the founder and President of the company and is a stand-up guy that will be helping us out for the Wicked GT. More to come on this sponsor! The second of our sponsors is Hero Complex Games and Entertainment located in Wichita, Kansas. This is the place where we have all of our local tournaments as Derek provides the best gaming experience for gamers all around Central Kansas His store is located on the east side of Wichita and has 26 amazing 4×8 foot gaming tables. 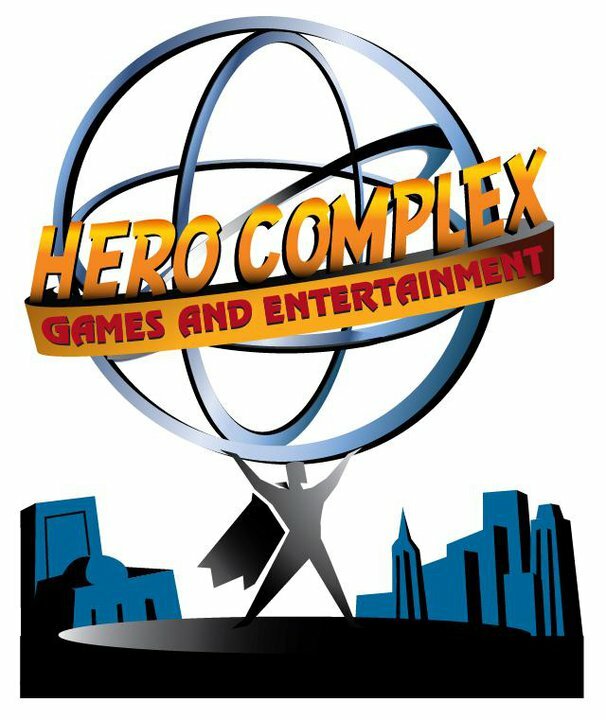 In addition to sponsoring the Wicked GT, Hero Complex has sponsored all of our local tournaments leading up this point. Hero Complex will be our key sponsor and we will bring you lots more info in the days to come. In the coming months I’ll be doing a “Sponsor Spotlight” on each of our sponsors to help further their name brand and boost traffic to their sites. I’ll give you all the details on all of our sponsors so that you can know who’s doing what for us and what they can provide to you as a gamer! Thanks for checking back. There’s going to be more coming for the Wicked GT very soon as we close out 2014 and head into 2015! This entry was posted in General Updates and tagged Grand Tournament, Hero Complex Games and Entertainment, Secret Weapon Miniatures, The Wicked GT, Warhammer Fantasy, Wicked GT. The Wicked GT now on Facebook! In an attempt to connect with more people throughout the Midwest as well as the rest of the country, The Wicked GT has decided to join the social media frenzy and have made our own Facebook page. We are a long ways away from the Wicked GT but we are getting started early and taking a proactive approach in order to alleviate any hiccups we will most likely endure along the way. So for now, the Wicked GT Facebook page is in its infancy stages and is pretty bare, however, as more things start to take shape we’ll post them here as well as our FB page. Please follow the link and Like the page so that you can get all the news you need for our first ever GT. Thanks and we are now at 252 days away as of this post! The link to the Wicked GT Facebook page can be found here, www.facebook.com/thewickedgt! This entry was posted in General Updates. The 5th annual Wicked GT 2019 will be featuring the 9th Age rules so make sure you get yourself familiarized! Registration continues for the 5th Annual Wicked GT! Scenarios now available! 22 generals signed up and counting! Registration open for the 5th Annual Wicked GT! Players Packet and Painting Rubric now available! Registration now open for the 5th Annual Wicked GT! Get signed up today! The Wicked GT 2018 – Results are in! Congratulations to the winners and a HUGE thanks to everybody for making the 4th Annual Wicked GT a success!!! The Wicked GT 2018 – Just 1 week away! Live List Review streams tonight at 7PM CST!! Be there!